Dhoni is equivalent to Rajinikanth in terms of popularity in Chennai. 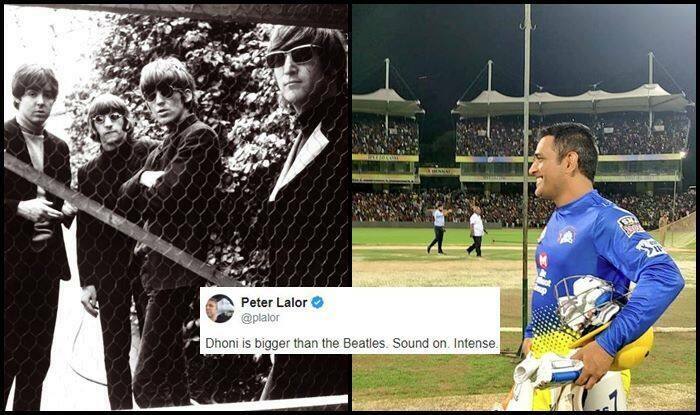 His Chepauk reception ahead of IPL 2019 was proof. Such adulation and receptions are nothing new for the two-time World Cup winning captain. But, one thing cannot be denied that in Chennai the following is more. Earlier, Dhoni was once again spotted making a fan chase him after the fan frisked security to get up close and personal with his hero. Meanwhile, CSK will start their title defense against RCB on the opening night of the upcoming season of IPL on March 23. It would be a much-awaited clash as Dhoni will lock horns with Virat Kohli.